Residential property has long been a major store of wealth for average Australians. The home remains the primary assets for the majority of people and the property market – particularly in major cities – has generally been kind for those who were in the market over the past decade or so. But with the ageing of the population, the percentage of wealth locked up in residential property ($500 billion in home equity is held by people over 65) is both a blessing and a challenge. According to the last Intergenerational Report in 2015, the number of people in Australia aged between 65 and 84 is forecast to double by 2054 to around 7 million, while the number of people over 85 is expected to more than quadruple. There is no disputing that owning your own home is a foundational step on the pathway to providing for a comfortable retirement. But the problem is perfectly captured for older Australians with the expression “asset rich but income poor”. The challenge for many in the post-war, baby boomer generation, is that while the house value may have risen well beyond their expectations, you can't use it to pay for the groceries, house repairs or a car that needs replacing. Downsizing has its advocates but comes with lifestyle challenges such as forming new friends and community contacts. So it is no surprise that there is considerable interest in developing a viable suite of products to release the equity locked up in the family home. While the need is obvious, the solution less so, and products like reverse mortgages do not enjoy good reputations. A recent review by ASIC of reverse mortgage products acknowledged that a common view amongst retirees, and even among finance brokers and lenders, tends to be that equity release products take advantage of vulnerable elderly people. That certainly accords with a personal experience of reverse mortgages courtesy of a family friend who, with her husband, took out a small ($50,000) reverse mortgage against the equity of their mortgage-free home. It certainly helped provide some short-term cash and lifestyle enjoyment, but after the husband developed cancer and passed away, an early exit condition was triggered resulting in a massive bill that wiped out almost all their household savings, and left the wife wholly dependent on the age pension to live. The ASIC review of the reverse mortgage market came after government changes in 2012 to strengthen consumer protections, including the provision of a no negative equity guarantee – that is the borrower cannot be required to repay more than the value of the secured property at the end of the loan. The ASIC report is interesting in that it found reverse mortgages were satisfying the immediate or short-term needs of borrowers, as did the case study above, and often provided for an improved standard of living while letting people “age in place”. Where ASIC found challenges in the market was with the long-term impacts on the borrower's asset position and, in particular, the impact of the cost of the reverse mortgage products that only became fully understood when potentially the home needed to be sold to provide a bond for entry into an aged care facility. That was highlighted by many of the borrowers surveyed for the ASIC report who indicated that they had not seriously considered their possible future needs. 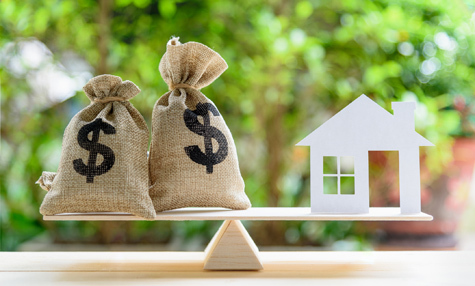 Reverse mortgages are complex and expensive products for both the borrower and the product provider, and the ASIC report does a good job at explaining the short-term benefits and the long-term risks and lifestyle implications that comes with it. The ASIC study tested the impact on the remaining home equity by the age of 84 (the average age of entering into aged care) if interest rates on the loan rises and if property prices grew more slowly than expected. What the ASIC modelling showed was that 63 per cent of borrowers may end up with less equity than the average upfront cost of aged care ($380,000) for one person by the time they reach 84. The long-term risk for borrowers is that, because of the impact of compound interest, they may seriously compromise their future retirement lifestyle and ability to afford future expenses such as aged care accommodation, medical treatment and day to day living expenses. To illustrate the costs over the long-term ASIC says the interest charges on an average loan ($118,000) came with an interest bill of $100,963 over 10 years and $180,269 over 15 years. One of the major warnings ASIC has for borrowers is the focus on short-term objectives with “limited or no attention” being paid to their possible future needs. The review of loan files ASIC did as part of the report found “approximately 92 per cent of the loan files we reviewed did not record the possible future needs of the borrower in sufficient detail and contained no evidence that the broker or lender had discussed how a loan may affect the borrower's ability to afford future needs”. The bottom line is that there are no silver bullets that can magically solve the income in retirement question but a clear message from the ASIC report is that you need to carefully balance both today's needs and your likely future requirements. The ASIC Moneysmart website provides a comprehensive guide to the risks of reverse mortgages. Head of Corporate Affairs at Vanguard. Budget Time – How’s Australia going?